What kind of portable charger do you need? Portable chargers work like extra batteries for your phone, tablet, laptop, or other portable device. Plug a device into a battery pack to charge it on the go, without needing a wall or other power source. As useful as mobile chargers are, there are lots of different ones to choose from, so how do you pick just one? Choosing what size of portable charger you should get is probably your biggest concern. You want a mobile charger that can keep your devices juiced up as long as you need them up and running, but you should also consider how many charging ports the battery pack should have while also weighing the price. Below are all the necessary categories that you should think about when you're buying a USB charger so that you can get exactly what you need. 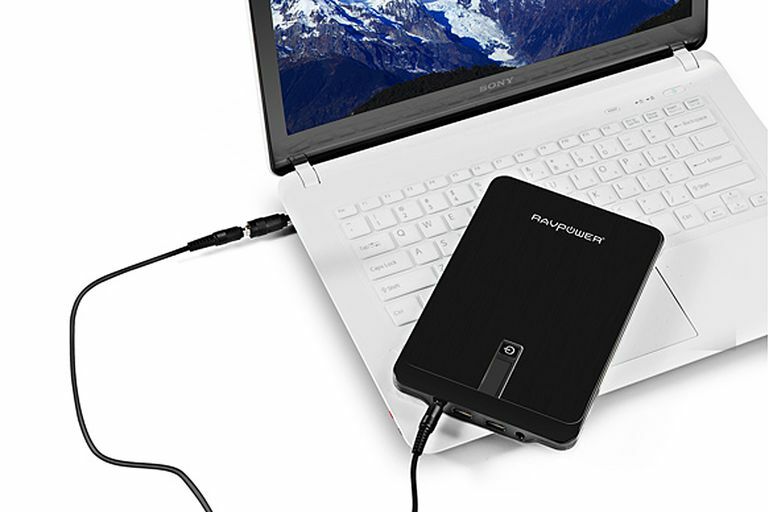 For actual examples, you can also check out our roundup of the best USB battery chargers, portable laptop battery chargers, and portable solar chargers. Just like how portable gadgets come in all sorts of shapes and sizes, portable battery packs come in an assortment of capacities as well. A small charging stick might come with 2,000 mAh (milliamp hours) of juice, but there are also heavyweight mobile chargers that can pack over 20,000 mAh of battery power. Which devices do you plan to use with the battery pack? How many different devices do you plan to use with it simultaneously? For how long will you be away from a wall charger? In other words, how many times do you think you'll need to use the same portable battery before you'll be able to recharge it? At the very least, you want to get a portable charger that can charge your target device fully in one go. To do that, you’ll need to know the energy capacity of the device you’ll be charging. An iPhone X, for example, is powered by a 2,716 mAh battery while a Samsung Galaxy S8 has a 3,000 mAh battery. Once you know your device’s capacity, just check out whatever portable battery you’re looking into and see what its own mAh capacity is. A small 3,000 mAh charger, for example, would be more than enough to fully charge most smartphones. If you’re looking to charge larger devices like tablets or laptops, you'll need a charger with way more juice. The iPad Pro, for example, has a huge 10,307 mAh battery, and the older iPad 3 clocks in at more than 11,000 mAh. To give an example, let's say you have an iPhone X and an iPad Pro that are both completely dead. To charge both of them to full capacity simultaneously, you'd need a 13,000 mAh portable charger that supports two USB ports. If you plan to be away all day and will need them recharged more than once, you'd need to factor that in, too. Even if you don’t own a large device, you may own multiple smaller gadgets like a personal phone, work phone, and an MP3 player. In that case, getting a USB battery pack with a larger capacity and more than two USB ports might be helpful, too, in case you need to charge several devices at the same time. Another factor that might be important to you when considering what to buy is the mobile charger's physical size and weight. If you'll be carrying this thing around with you all day, you want it to be a comfortable size, but that just isn't how some power banks are made. Generally, if the charger has a smaller battery (the mAh number is smaller), and it only has one or two USB ports, it will be of a significantly smaller physical size than one that is triple the capacity and has four USB ports. In fact, some of the really large capacity portable batteries that support USB and regular plugs (like for laptops), are akin to bricks - they're huge and heavy. This makes them harder to hold in your hand or put in your pocket. However, if you plan to keep the battery charger on the table and store it in your bag, it won't be a big deal to you. In short, if you commute on foot or are a student who walks to and from classes, a smaller charger would be a better option for backup power, maybe even a phone case charger combo. When it comes to charging time, charging your battery pack and charging your device with a battery pack are two separate things. For example, it's usually fine if it takes a while to charge your battery pack from a wall outlet because you can keep it plugged in all night, but it's probably not OK if your battery back takes forever to charge your phone, tablet, etc. Solar-based chargers, for example, might be amazing to have when camping for a long time but most of them usually take quite a while to charge devices and run out of power pretty quickly. Fast chargers aren’t just great for charging up a phone in a snap, they’re also good at charging devices with larger batteries like tablets or laptops. Extra features aren’t really necessary in the grand scheme of things but they can help seal the deal when picking a mobile charger. In some cases, it can be something as simple as having two USB ports like the Snow Lizard SLPower so you can charge two devices at the same time. Some USB chargers, like this RAVPower battery pack, double as flashlights. In fact, some portable battery chargers have some really neat extra features where they double as panic alarms like Champ Bodyguard. Then you’ve got chargers that let you jump start vehicles and speakers that include a USB port to charge other devices. Do Planes Have Power Outlets to Charge Your Phone or Laptop?